Home & Garden : Furniture Stores, Kitchen Equipment, Party Supplies, Pets. Custom furniture repair & upholstery service shop in the Inner Richmond neighborhood of San Francisco. A family owned and operated Upholstery design company in San Francisco, since 1985. Offering residential, hospitality and commercial custom upholstery services. Upholstery shop in San Francisco, California. Residential upholstery : living room furniture sofa, chair, ottoman, dining chair, sofa beds. 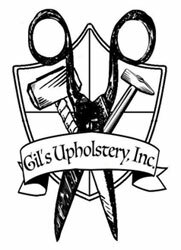 Commercial upholstery : restoring antique furniture and reupholstering chairs, sofas and benches for different hotels, funeral houses, churches, restaurants. Upholstery shop serving the San Francisco Bay Area Since 1975. Specialize in upholstery, antique restoration, refinishing, headboards, cushions and pillows.